Kairos is a friends-to-lovers novella that follows business partners and roommates, Joe Cohen and Kade Bosa, told from Joe’s POV. 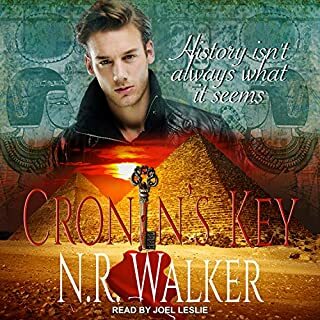 After being forced out of the police force in disgrace, and being shunned by all his family, except for his sister, Kade finds a lifeline and new purpose when he is offered a partnership in Joe’s PI business. In the intervening years, Joe has fallen in love with Kade, but in true friends-to-lovers fashion, misses all the cues that his bisexual BFF has feelings for him as well. Which, considering how aggressively OTT and almost annoyingly possessive and demanding Kade is when it comes to Joe’s ex, is a miss of epic proportions. 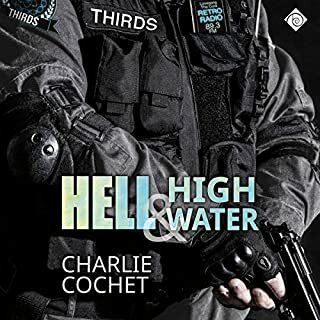 When tasked to check on an informant by his mentor, and the one remaining cop that still keeps in touch with Kade, Kade and Joe find their simple check in turned into a scene of murder, mayhem and conspiracy. 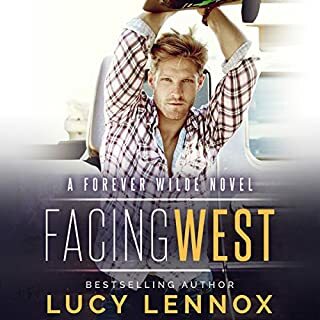 Though billed as a romantic suspense, in true Calmes fashion, about halfway in the book takes a pivot away from being a romantic suspense, with Joe and Kade trying to protect a witness to a story about family, finding your place in the world, and second chances. As a novella, there is a lot of backstory and character personality to establish in a limited number of pages in order to tell a full, engaging story, and Calmes does a good job portraying two flawed friends, compelling secondary characters that add color and richness to the narrative, and her trademark blend of banter, fun, and hearts-and-flowers declarations that manage not to sound too trite or out of place. This is definitely helped by Michael Fell’s wonderful performance. 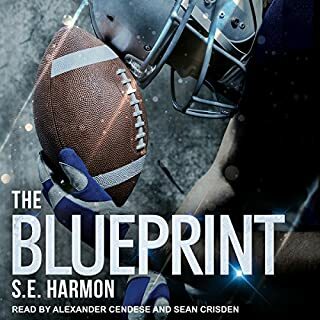 He’s a narrator that manages to create individual voices and convey emotion as well as adding those little touches included in the dialogue that separates simply reading a book to performing one. 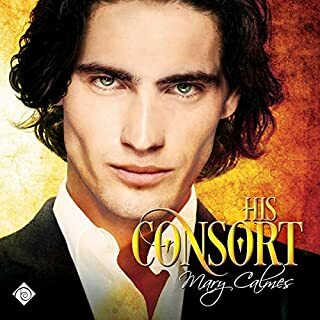 If you’ve read much of Calmes’s work, the characters will definitely feel familiar, and the storyline is not as involved as one would expect with a romantic suspense. 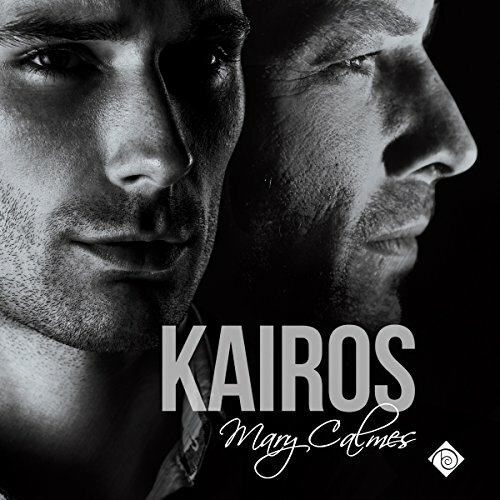 Kairos is more a straightforward romance filled with the Calmes staple of family drama, an emotionally oblivious but charming MC in Joe, a rough around the edges, growly MC in Kade, a touch if danger, and the heartwarming HEA. With Michael Fell’s excellent performance to assist, the book is a fun, entertaining listen. I really enjoyed this books and liked the nuggets to other books the author has written. It is not necessary to read/listen to her other books, but the hidden nuggets are a delight. The book is well written. 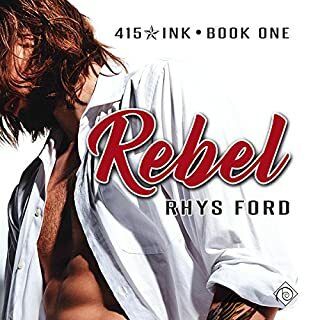 It is a short book so to some it might appear rushed toward the hea, but I didn't mind it at all since it was so well done. Michael Fell did a splendid job of narration. It felt like 2 separate stories. I still loved it! This was an odd one. That’s not to say I didn’t enjoy Kairos, because I did. A lot. 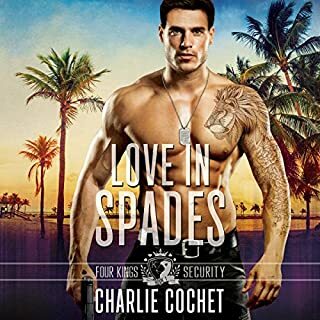 I just didn’t expect the story to move from a romantic suspense storyline to a traditional romance complete with a family reunification, an unofficial adoption, and a marriage proposal (of sorts). 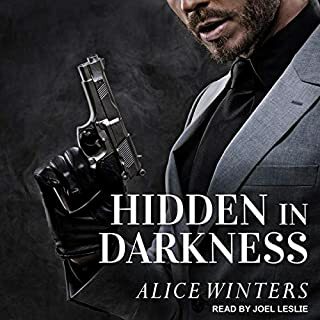 It’s almost as if Mary Calmes intended to write two short novellas featuring Joe and Kade and, in the end, opted to write a short novel to give a more complete story for the pair. For me, it works because I enjoy Calmes’ writing, but for some readers, the change in tone might prove jarring. 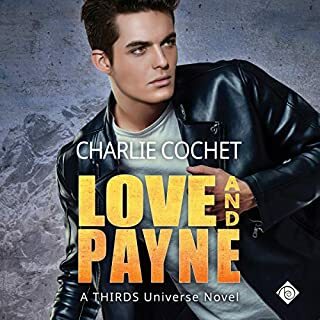 Readers (or in my case, listeners) are dropped into Joe’s life right before shots are fired that will turn both his and his best friend Kade’s life upside down. Joe harbors an unrequited love for Kade, but it’s the kind of love that means Joe keeps Kade in his life, being the best friend he can be while tamping down on his romantic feelings so those feelings don’t negatively impact their personal or business relationship. This is why Joe finds himself protecting their target from Kade’s fury when Declan reveals who wants him dead. Luckily for all three men, Kade’s temper doesn’t prevent him from thinking clearly about the danger they’re in and they get the heck out of the Dodge before everything explodes around them. After a rather intense scene in which Joe proves he’s not Kade’s doormat – something that wasn’t entirely clear before – the three men hopscotch their way out of town, leaving incriminating evidence in the hands of someone who had the power to bring down the bad guys, thereby protecting young Declan. It’s when they land in California that part two of the story begins and Kade forces Joe to face his demons. And now that I’ve typed that, the two different tones of Kairos make more sense. 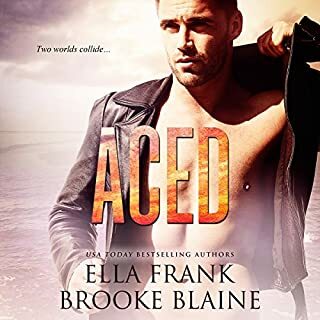 Both Kade and Joe had demons they had to deal with before their life together could begin, but Kade’s demons were far darker and more dangerous than Joe’s were, hence the move from romantic suspense to a more traditional feel-good romance. While I don’t want to give too much away regarding Joe’s reconciliation with his family, I will say that they’re a hoot, particularly his mother. As usual, I would have loved for the story to continue on, so I could see where their new beginning would take them. I can only hope that Joe and Kade eventually make an appearance in another of Calmes’ books. Kairos marks the second audiobook narrated by Michael Fell I’ve had the pleasure of listening to. I enjoyed the contrast in voices he performed for Joe and Kade. 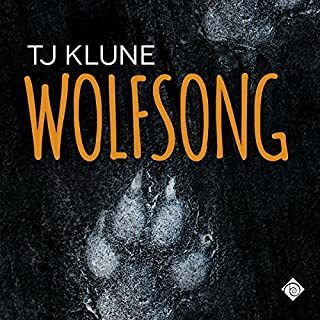 While the gruffness of Kade’s voice was perfect for the character Calmes has created, I did wonder more than once if it hurt Fell to perform because of its harshness. Kade’s gruffness was balanced out by the calm and steadiness of Joe’s voice, making it easy to see why Joe was Kade’s shelter from the storm. 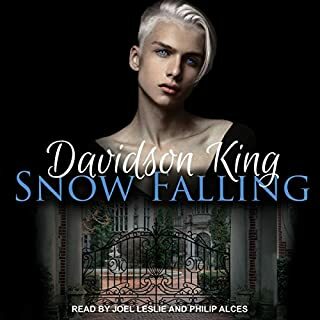 Declan’s voice was also perfect, conveying the young man’s vulnerability and fear so clearly that it was even easier to hear when he began to feel safe as he spent more time in Joe and Kade’s presence. Fell did a great job of creating voices for the entire cast of characters, but I really, really liked what he did with the main three characters’ voices. 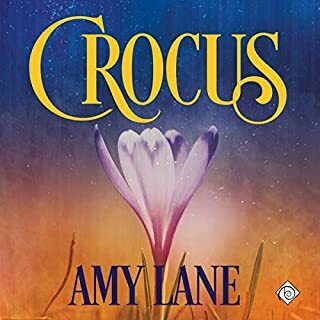 I suspect that I enjoyed Kairos more as an audiobook than I would have as an ebook and that’s because of how well Fell’s performance signaled the change in the story’s tone. This is definitely one for my ever expanding re-listen shelf. 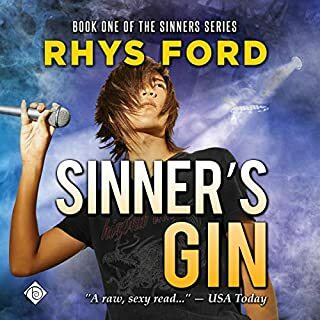 It’s also got me wondering which characters other than Sutter may have popped up in Calmes’ other books – my to-be-listened-to list is getting longer and longer each time I cue up one of the author’s audiobooks. This was a pleasure to listen to. I really enjoy Michael Fell's narration. Good character voices (and kudos on the female character voices - really well done! ), his pacing was terrific, and he brought the characters and the book to life. Kairos centers around Private Investigator partners Joe and Kade who are semi-struggling to make their business solvent in Chicago. When circumstances surrounding a favor go sideways, Joe and Kade find themselves protecting a witness and very much needing to get out of town. The tone of the story changes midway and becomes a homecoming for Joe, who left California two (almost three) years ago and hasn't contacted his family since. 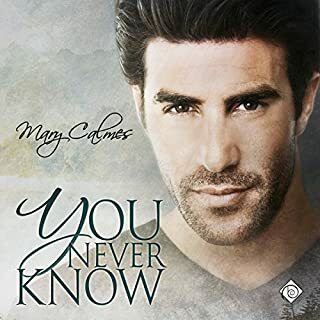 Told in Mary Calmes signature style with Joe's single, first person POV I loved what Michael Fell did to showcase Joe's feelings and Kade's growly jealousy. 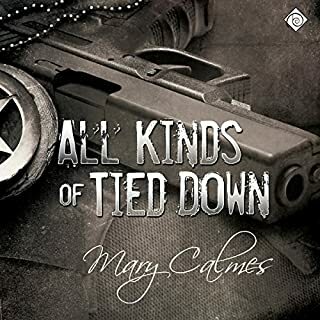 The romance between Joe and Kade is part of the larger plot, and while their passion doesn't really ignite until quite a ways through, for those who love Mary Calmes' writing and her formula for suspense and romance this definitely hits a sweet spot.